"Parrot-Beak®" Equipment for Handling Nearly Any Drum with a Standard Top Chime. The Original “Parrot-Beak®” Double Clamping System for Each Drum! Using our patented and trademarked mechanical operation, Liftomatic’s DCM Series “Parrot-Beak®” equipment was created and brought to market in the 1960’s for handling drums that require more safety and care than common steel drums. 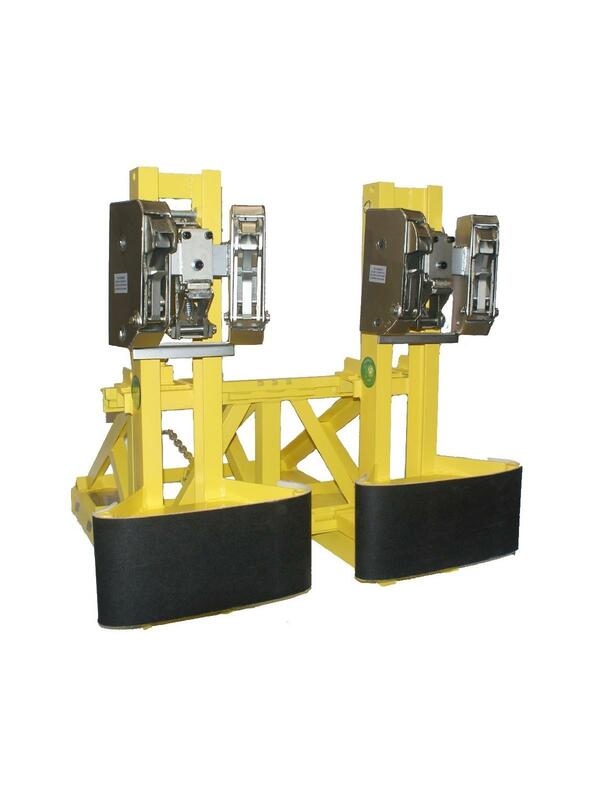 Our DOUBLE “Parrot-Beak®” clamping system safely and efficiently handles steel, plastic, fiber, open top, and virtually any other container that utilizes a standard top chime. The DCM series equipment will provide your operators the additional piece of mind they need to complete their daily drum routines efficiently. 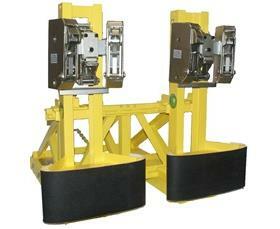 Liftomatic DCM models are available in one and two drum units (standard). All Liftomatic DCM series products also come standard with high visibility coatings, cushioned and protective belt cradles to support the drum side-wall, bright zinc plated beaks for better operator visibility, and a safety chain. Carriage mounted, narrow aisle, and customized DCM units are also available from Liftomatic – please call for additional information. FOB Shipping Point. Steel surcharge may apply to various models and/or options. 42 x 33 x 39"42 33 39"